Recording Gear — The Higgins Creative. People often ask me for recommendations when choosing the right gear when recording their own podcast and online videos, so I made this handy reference to help point you in the right direction. I've picked products that are in a nice entry-level range, with a good quality at a relatively low price point. This is geared towards those looking to stand out from the crowd, but who aren't starting any professional productions anytime soon. In some cases, I've provided a couple of different choices that fill a specific need, so that you have some choice within your budget. This is the very mic that we record the Wake to Make podcast on. A great microphone for the price and very easy to use. It hooks up to your computer with a standard USB cable, and requires no extra equipment or software to work. Great for podcasters, online course creators, or those wanting to sound better on their FaceBook Lives. A great recording can be ruined by vibration picked up through the table your mic is sitting on. This shock mount absorbs all of that vibration and isolates your mic, so that you get a clean recording. Definitely a must. If you're getting the Shock Mount by Blue, you'll need an arm to attach it to. This one is great as it lets you articulate the position of the mic to get it at just the right height. I also love that it clamps right onto my desk. I can swing it out when I'm recording, and just swing it to the side when I need it out of my way. Save your audience from wincing every time you say a word with a "P" in it. Using a pop filter stops those "p-pops" and makes post-production a ton easier. This is the one we use on your Yeti! It's important to have good headphones when recording and editing to ensure that you're getting a balanced and accurate feel for how your recording sounds. Audio Technica make professional quality headphones at a great price. If you've watched any of our live recordings of the Wake to Make podcast, you've seen me wearing these. I included the "M30's" as well in case you're looking for a cheaper option than the "M50's"
This is the camera that we use to record all of our videos. We even used it to record our For the Love of Lettering online course! I've been amazed at the quality of video that this puts out. It can be clipped to your monitor for traditional webcam placement, but also has a built-in universal tripod receiver to screw into your existing tripod. 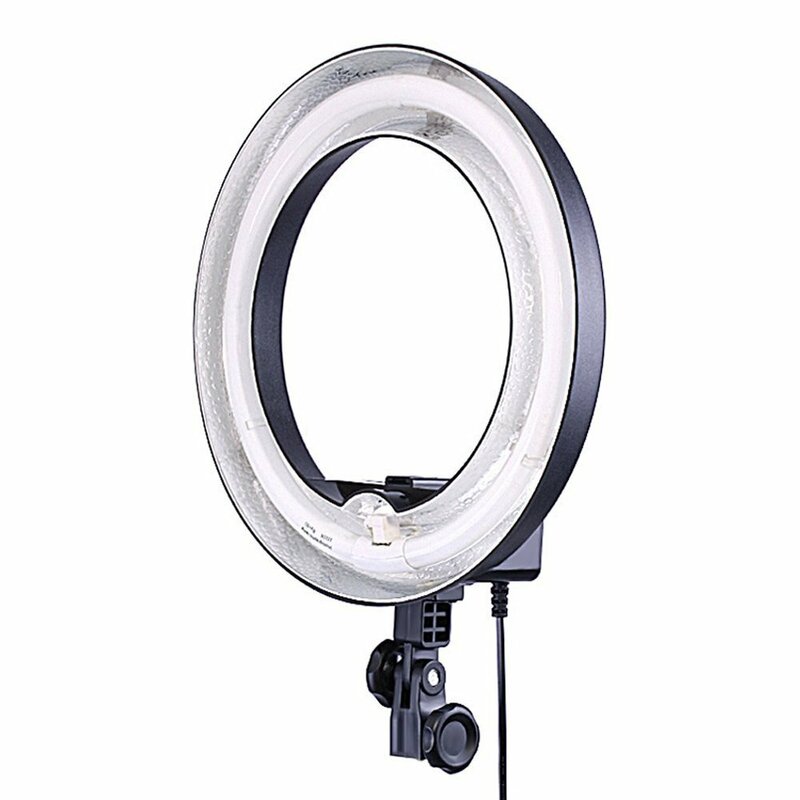 I love to mount it on the inside of my Neewer Ring light for nice, even lighting (also linked on this page). This adapter is required to mount anything with a 1/4" tripod screw mount on the inside of the ring light. This clip is one of the most useful and versatile tools in our kit. It has the standard 1/4" tripod screw receiver, meaning it can be mounted to any tripod you have. We love to mount it within our ring light for FaceBook Lives. This is the stand we use to keep our ring light upright and at the desired height.